Sepe Tree Service is a full service tree company offering a variety of services to maintain your landscape investment. We are one of the favorite tree service in Warwick RI. 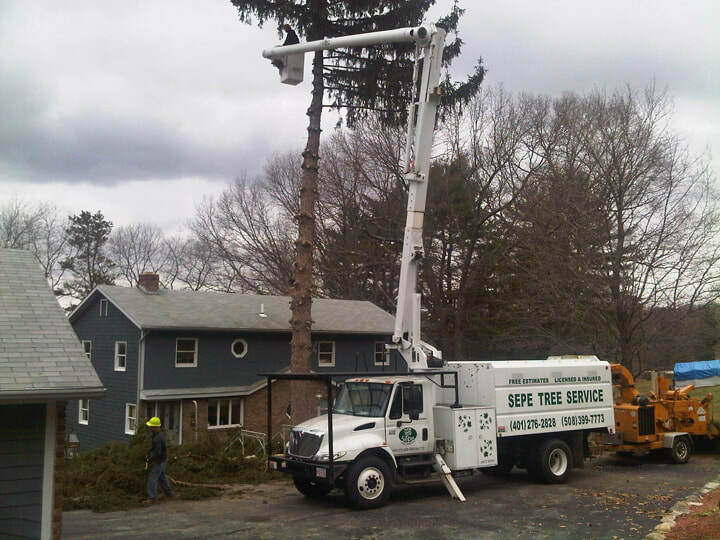 Sepe Tree Service has been working with customers in RI for over 25 years. Our number one goal is always customer satisfaction and going the extra mile to make customers happy. We offer trimming, grinding, and tree removal. Owner Don Sepe is available directly by phone or email. We assisted with extensive cleanup after the storms and can help you recover your yard after any type of storm damage. If you need to remove a large tree that has become a nuisance in your yard, you can count on Sepe's Tree Service. Our team does everything that deals with a tree, so give us a call. Our staff is continually trained in the proper techniques of tree care and safety. Training seminars are regularly held and attended to insure all standards of safety are maintained. The following is a list of some of our services. No job is too small or too large for us to manage. Warwick Tree Removal - Large trees are our specialty. Consultations to assess tree health and safety.